Emily Bronte | Lindsay, reading. 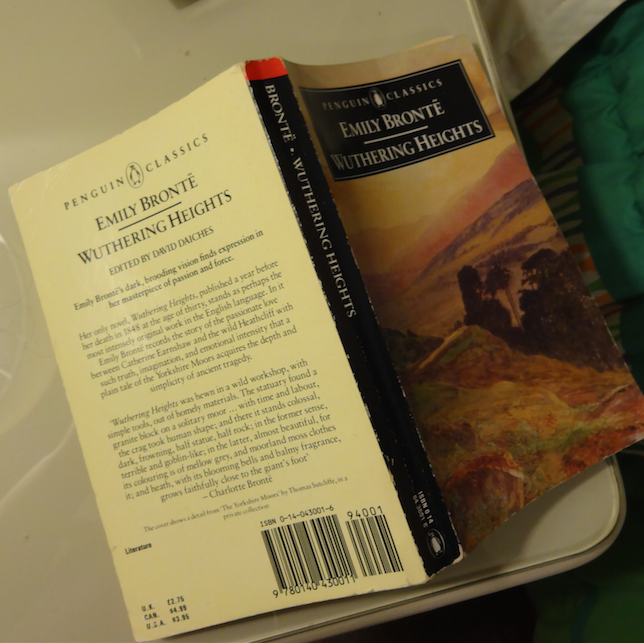 After close to 15 years of trying on and off, I finally gave up on reading Wuthering Heights. Usually, no matter how hard/boring/pointless I’m finding a book, I power through. It takes quite the book to make me give up entirely, but Emily Bronte did it. And so Wuthering Heights has officially been moved from my “to be read” shelf, to my “to be donated” box. It’s humbling to be taken down by a book that most people polished off in high school. What books have bested you? Any tips for powering through when you’re just not connecting with a book?